The following is a transcript of presentation entitled Why invest in U.S. real estate? at the American Chamber of Commerce in Hong Kong on September 23, 2014. An audio recording of the presentation is available here. For more information, please see Landed Global. Today I am going to look at some of the reasons that a non-resident—particularly someone living here in Hong Kong—would want to invest in U.S. real estate. America’s population is 319 million versus 7 million here in Hong Kong. That’s 45 times larger. At 9.8 million square kilometers, the U.S. is nearly nine-thousand times larger than Hong Kong. In 2013, America’s Gross Domestic Product was US$16.7 trillion. That’s more than 43 times larger than Hong Kong’s US$381 billion. And for the year ended March 31, 2014, sales of existing homes in the United States totaled US$1.2 trillion. By comparison, total domestic sales in Hong Kong during calendar 2013 were $38.3 billion. That makes the U.S. residential market more than 31 times larger than Hong Kong. The U.S. is clearly bigger than Hong Kong. And that added size translates into seven key advantages for you as an investor. The first is diversification. Officially, Hong Kong has four “pillar” industries: financial services, trading and logistics, tourism, and professional and producer services. In reality, Hong Kong has one pillar industry. It’s called China. 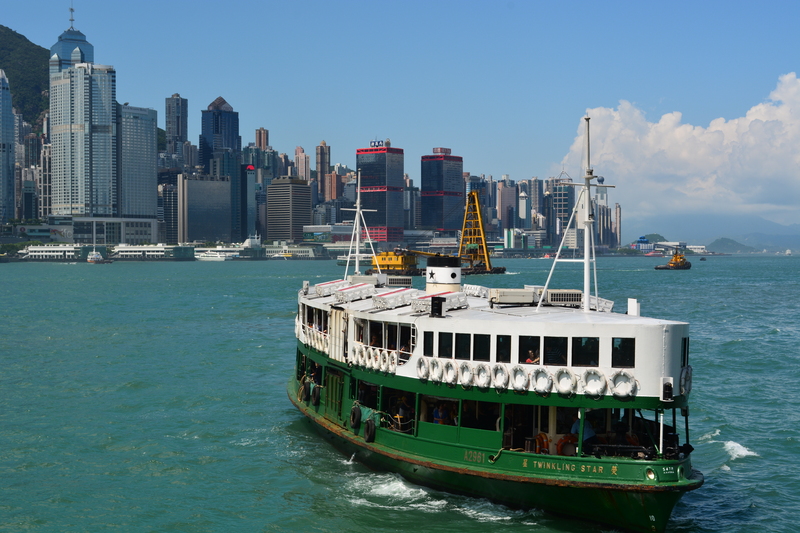 The United States economy is far more broad-based than Hong Kong’s. From agriculture and manufacturing to finance and high technology, the U.S. is better able to withstand economic shocks. While Hong Kong has benefited enormously from the Mainland’s explosive growth, a slowdown in China or a loss of confidence would have devastating effects. If you lived here during SARS or during the 1997 Asian financial crisis—when some home prices dropped by two-thirds overnight—you know what I mean. Second, that scope means you have more investment choices. In Hong Kong, residential property means—for the most part—buying small apartments. In the U.S., you can buy a multi-million dollar trophy co-op in New York City; an apartment building in a city like Youngstown, Ohio, that is benefiting from manufacturing related to the fracking boom; a home in a gentrifying neighborhood like Ballard in Seattle, and much more. And in addition to bricks and mortar, you can invest in an unparalleled range of vehicles, like specialist REITs, developers’ stocks, mutual funds, private equity, and so on. Fourth, the open and free nature of the U.S. economy means that the United States continues to attract talented, ambitious immigrants from around the world. In the year ended July 2013, the United States saw net international migration of over 843,000 people. And whether it’s refugees from Latin America, Canadian “snowbirds” or Chinese entrepreneurs, people are drawn to the United States, which creates demand for property. Fifth, both buyers and immigrants are attracted to America’s strong commitment to rule of law. America’s efficient, impartial legal system, and the knowledge that contracts will be enforced is a vast improvement on many counties, where corruption, bias and delays are the norm. That’s reflected in the sales statistics. For the year ended March 31, 2014, foreigners represented about 7% of existing home sales in the U.S. market, buying properties worth $92.2 billion. Increased international sales means that there is a growing number of sales people, accountants, management companies, architects and other suppliers providing services that overseas buyers want, often in the buyer’s native language. Finally, you may have noticed that I’ve given you a lot of data over the last couple of minutes, which highlights my seventh advantage. The U.S. is among the most measured and data-rich societies on earth. From bodies like the Census Bureau to the Federal Reserve, not to mention city governments, industry associations, start-up companies and the NSA, there is more data about the U.S., its cities and people than any country on earth. You can learn about everything from the local air quality to the rating of your neighborhood elementary school and the value of the home next door, all with just a few keystrokes. If you are willing to invest a little time, you can use this data to make better decisions and learn from other people’s mistakes. This data allows you to avoid threats and spot opportunities, and I am going to close out my part of the presentation with a look at some of those threats and opportunities. Let’s start with geopolitics. China has simmering conflicts with several of its neighbors, including Japan and the Philippines. The U.S. has defense pacts with Japan and the Philippines that could cause it to be drawn into a regional conflict. Russia’s activities in Ukraine could have a similar effect in Europe, by virtue of America’s membership in NATO. And the Islamic State of Iraq and the Levant, or ISIL, is a wild card that could influence everything from the price of oil to global shipping and day-to-day life in the United States, particularly if ISIL carries through on its threats to launch an attack on American soil or the Suez Canal. At first glance, each of these conflicts is bad for the United States. But these threats will also drive people to move themselves and their money into safe havens, like Switzerland and the United States. That would be a plus for American real estate. Second, the United States is in the midst of a major demographic shift, as the baby boomers—people who were born between 1946 and 1964—enter their retirement years. There are two major issues with this group. One is that they have not saved enough for their retirement. Many are going to become dependent on the government for financial support as they get older and sicker. The second is that about one-third of boomers plan to sell their homes to finance their retirement. Unfortunately, 10 million fewer people were born in the 20 years after the baby boomers. That means fewer first-time home buyers on the bottom of the property ladder. In addition, Generation X is has more than US$1 trillion of student loan debt, more than 10% of which is over 90 days delinquent or in default. That debt, which cannot be discharge through personal bankruptcy, is preventing people from forming families and buying homes, and acting as a drag on the market. Furthermore, many members of Generation X and the millennials who followed them, watched their parents get caught up in the subprime crisis, making them even less inclined to buy a home. Incidentally, the effects of the subprime crisis are still being felt. As of the end of June, 17% of Americans with a mortgage—or nearly nine million householders—were in negative equity. Third, many of the low- to medium-skilled jobs that allowed people with a high school education to buy homes and join the middle class have moved to China or Mexico. That’s creating a society that is increasingly polarized between the rich and poor, where middle-class home ownership is threatened. You will see a growing number of people renting accommodations either by choice or out of necessity. Part of the increase in the number of renters can be attributed to the growing number of single people. Singles now make up over half of all American adults for the first time since statistics have been collected. Interestingly, a poll by Atlantic Media and Siemens shows that nationwide, homeowners are more likely to be white, rich and Republican than renters. In 2013, the number of renter households in the U.S. increased by more than half a million and there is a growing shortage of rental accommodations. From 2009 to 2014, the supply of rental accommodations in the U.S. dropped by more than 800,000 units. That shortage will continue to grow, driving rents higher and creating opportunities for investors who understand what types of property to buy, and the cities and neighborhoods that are desirable for tenants. So—to recap—the United States offers diversification; a choice of investment targets and vehicles; value for money; growth through immigration; rule of law; services for offshore investors; and a wealth of data that can help you make smart decisions. And while the United State faces geopolitical, demographic and economic threats, it is uniquely positioned to turn those threats into opportunities. Now I’d like to turn the mic over to Sam, who will tell you about some specific opportunities in the United States. An audio recording of Why invest in U.S. real estate? is available here.